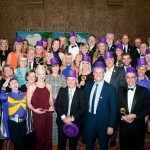 350 guests gathered last night a t the Plaza Ball Room in Collins Street, for the 2016 Star Ball which supports the Starlight Children\‘s Foundation. 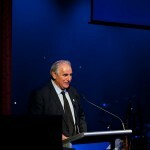 Hosted by Sam Kekovich, the night raised in excess of $450,000 through a Raffle, Silent and Main auction and a Pledge. The crowd sat in stunned silence while Emma Murray, the Mindful coach of Richmond FC, recounted her story of when her 14 year old son, Will a talented sport, jumped from a Sandringham Pier on January 14 and became a quadriplegic. 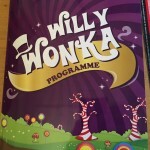 That lead into the major auction which was keenly contested. 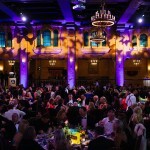 T he audience was further entertained by the star of major musicals, Rob Mills (currently the lead in Ghost), the Young Australian Broadway Chorus, Starlight recipient Michael Morgan and finished with the Screaming Eagles lead by Steve Dundo\‘ Dundon.